Catnip (Nepeta cataria) is the herb of choice for feline enjoyment and traditional herbal uses by humans. Catmint (Nepeta x faassenii) is the one best suited to more general landscape and flower garden use. 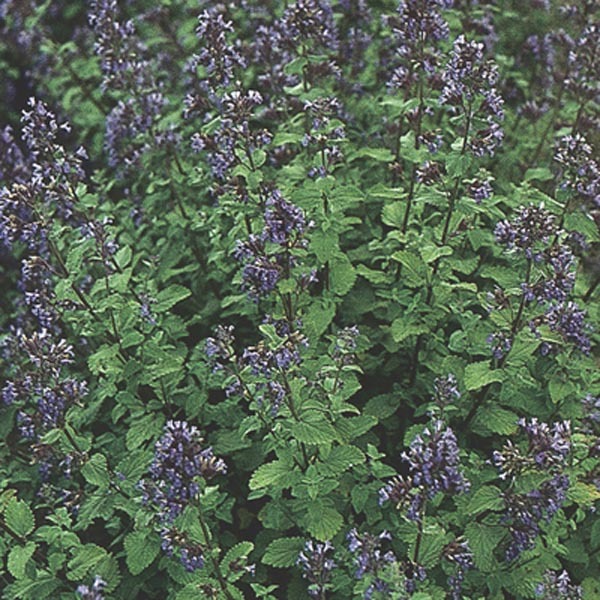 Both have blue-purple blooms, minty foliage and vigorous growth habits. Harvesting catnip leaves frequently and shearing catmint after bloom will keep the plants bushy. Makes a dependable mixed border plant. Looks great in rock gardens. Outstanding for planting near walkways, decks and patios where scent can be enjoyed. Adapts to most soil types. Does best in light, well-drained soil. Allow soil to dry between thorough waterings. Trim back occasionally to encourage rebloom.